Create shamrock soda can lights for an unusual way to decorate for St. Patrick’s Day. And you’ll be recycling, as well. Save your green soda cans for this quick and easy idea. String of small, clear lights. How to Make Shamrock Soda Can Lights. Caution: Be careful handling aluminum cans as you craft with them, as they can have sharp edges. 1. Find or make a shamrock pattern. My shamrock is 2 inches wide by 2 inches high. Trace the pattern onto cereal cardboard. Cut it out. 2. Make your soda cans into flat sheets. 3. Trace the shamrock pattern onto the soda cans. You can get 3 or 4 on one can. It’s easier to cut the aluminum without tearing it if you cut into each dip to the point from one side, and then cut into the dip from the other side. 4. 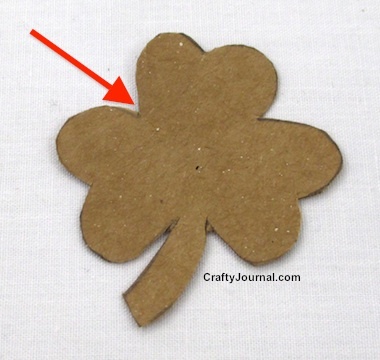 With a marker, roll the edges of the shamrock toward the center front, so it will cup around the light. 5. Punch a hole in the center of the shamrock. Use the punch around the edge of the hole to enlarge it slightly so the shamrock will fit over the light. Don’t make the hole too large as you want a snug fight around the lights. 6. Slide the shamrock over the light, and position it around the base of the socket – not the bulb itself. This is how your finished lights will look. You can use regular scissors and a paper punch for this project. Punching and cutting the aluminum should sharpen your tools. or Star Soda Can Lights, too. That is so clever! A great idea and it looks so effective. Such an awesome idea, and they would be so much fun to make too. Such a fun idea to use the old soda cans. Loved how you added the lights! Thanks for sharing with SYC. I love this! The shiny cans probably glisten and sparkle with the light. I was worried about how sharp the edges must be until I realized you would have these strung up high anyway. Thank you so much for sharing this post at This Is How We Roll Thursday. OH what a great idea! And would give you luck year round I bet! I wonder if there are any golden cans and you could make a few coins to scatter amongst the shamrocks? Thanks for linking to Snickerdoodle, hope you will link this as well to our Craft Challenge Upcycle party. There are golden cans. At least one of the Coke products is in a golden can, and I’m sure there are more. This are great! I love how you do this with lights for various holidays. The red ones you did for Valentine’s Day were great, too! Visiting from Snickerdoodle Sunday. I love your Pot of Gold Shamrock Bouquet, too! 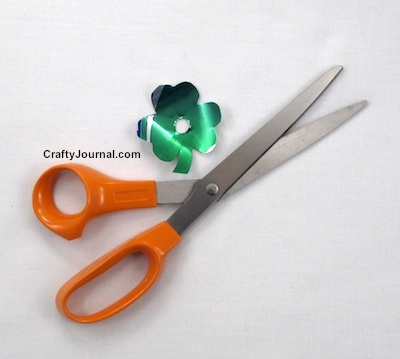 I’d love to have you share your St Patrick’s Day crafts on the Spring Craft Blog Hop. What a great idea! I am sure the light really reflects pretty off the can! Thank you for sharing on Show Me Saturday! Thank you for sharing your tutorial on VMG’s Brag About It link party! I love that you have upcycled!! very cute!! Thanks for Sharing on My 2 Favorite Things on Thursday – Link Party. Hope you come back again tomorrow to share some more stuff!! Pinned!! These are the best things ever! We celebrate St. Pat’s like crazy people in Emmetsburg, Iowa. I can’t wait to share this. Thanks so much. This is so neat! I love this idea! Pinning and sharing. Thanks for sharing this at Totally Terrific Tuesday last week! I can’t wait to see what you have to share this week! These are so cool! I’m not sure I’m ready for it to be almost St. Patrick’s Day but I still love these. 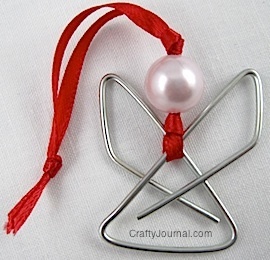 Thank you for sharing the tutorial at The Really Crafty Link Party. Pinned! What a fun upcycle project! Thanks for sharing with Party in Your PJs!